Recorded live April 17th, 2016. 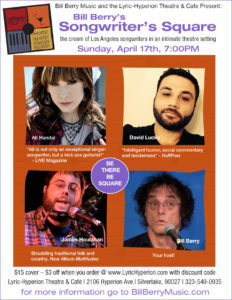 Featuring Ali Handal, David Lucky and James Houlahan. With your host Bill Berry. All songs and performances owned by the artists.